When most people think of "Dog Pads," potty training probably comes to mind. 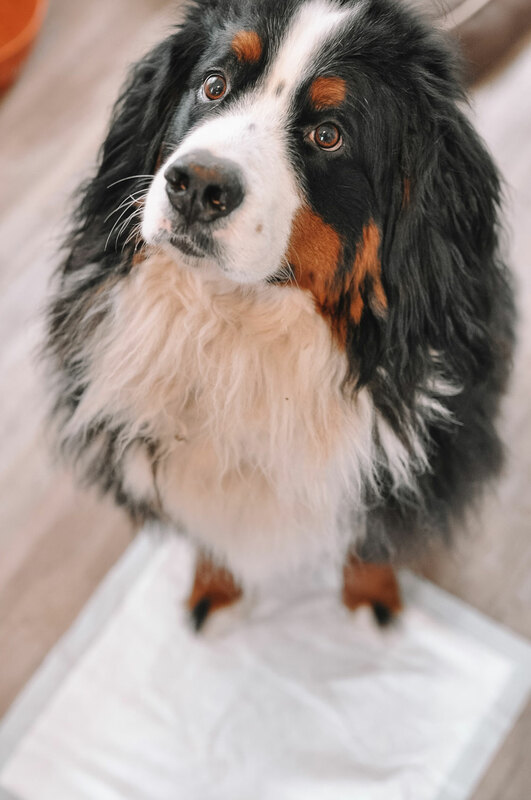 Though they work great for puppies who are learning and small apartment dogs who are inside all day, dog pads can be used for dogs of all shapes and sizes! They serve more of a purpose than just potty pads. I have two large breed dogs: a Bernese Mountain Dog, Kylo, and a Great Pyrenees Mix, Chloe (you can follow them on Instagram here). I love them to pieces and will always be a large breed dog kind of girl, but my goodness they track in so much dirt! My house, my floors, my car, my furniture.....it's all covered in dog hair, leaves, dirt and muddy paw prints. I promise I clean my house every weekend, but you wouldn't know it if you dropped by on a random Thursday! 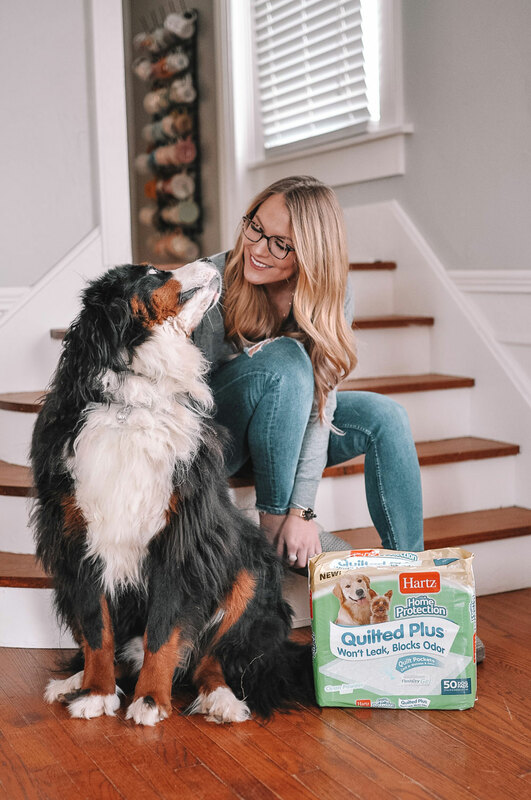 Throughout the winter when there is snow, sleet, etc., it has been extra hard to keep things clean.....that is, until I started using Hartz Dog Pads! 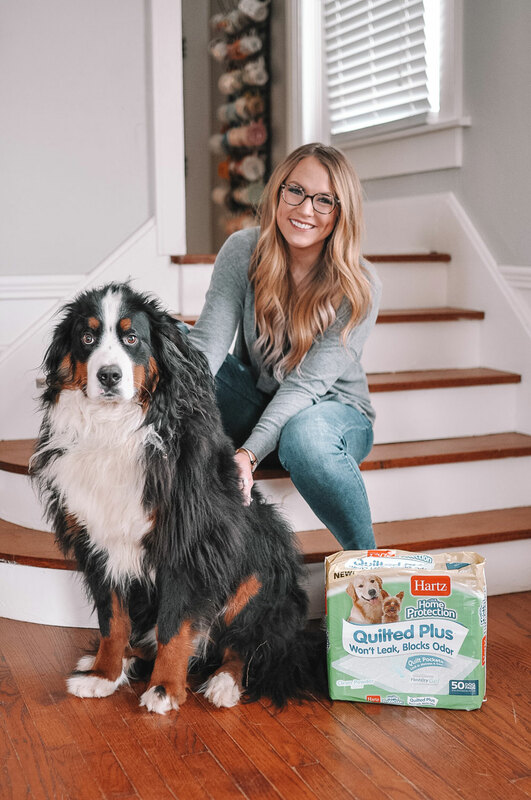 Hartz Home Protection Quilted Plus Dog Pads are made up of fast-absorbing quilt pockets and FlashDry Gel technology so they lock in moisture immediately and turn liquid into gel. That means it doesn't run all over the floor! 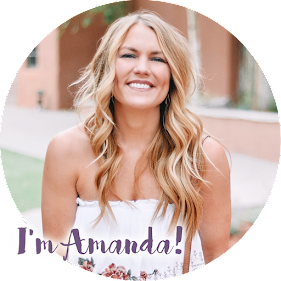 On top of that, they smell clean and powder fresh (which I LOVE) and work to neutralize unpleasant odors (like wet dog, YUCK). So....now that we've covered the basics on why I use them, let's talk HOW I use Hartz Dog Pads for large breed dogs. Living in Oklahoma means that there is red dirt galore. Every time it rains, the white on Kylo's chest quickly turns to a lovely shade of red/orange. He's not the type of dog to avoid mud puddles, clearly! 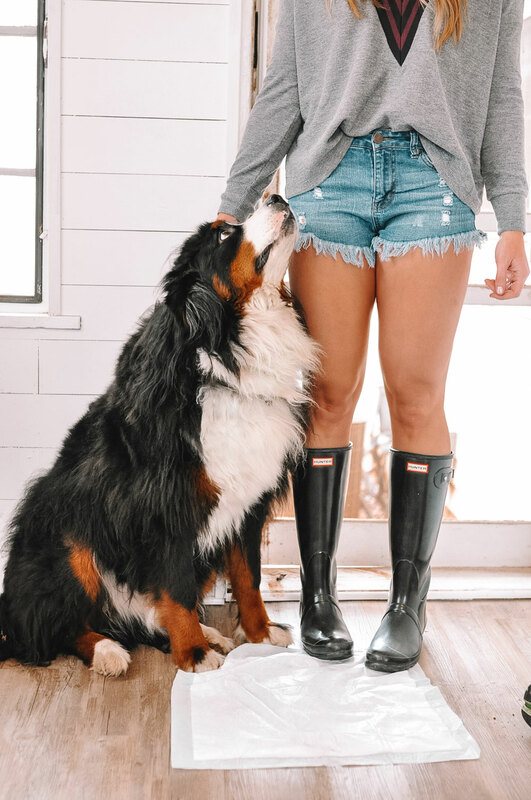 When he comes inside, he tracks muddy paw prints everywhere but Hartz Dog Pads work as an excellent door mat.....assuming you can get him to walk through the door slowly enough to utilize them! They immediately soak up any wetness on his paws and keep the paw prints at bay. They also work great as a mat underneath water bowls so soak up any messes from sloppy drinkers. Since both of my dogs are long haired, once they are wet, they are SOAKED and they don't dry off easily. I sometimes use a Hartz Dog Pad as a towel to soak up extra moisture from their fur by rubbing it all over them. Since it works to neutralize smells, it also helps minimize the wet dog odor. Win-win! It is so hard to give them baths in the winter (they don't really fit in my bathtub and it's way too cold outside) so I utilize anything and everything I can to keep them smelling fresh. Lastly, I really, really love my car and I hate for it to smell like dog and be covered in dirt! I usually put up a gate barrier between the back trunk area and the back seat (I drive a big SUV so there is plenty of room for them back there) but sometimes I need to put them in the car quickly and the gate is a bit of a pain to put up/take down. Hartz Dog Pads to the rescue! 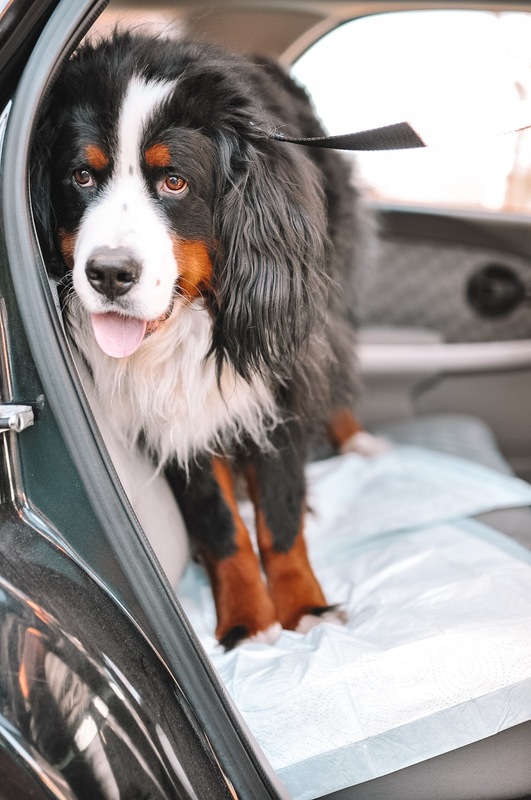 I lay them over my car's floor and seats and they go right to work soaking up drool, blocking the seats from dirt and minimizing any odors. It's such an easy set up AND clean up! As you can see, we love Hartz Dog Pads in our house! They have so many uses for dogs big and small, young and old. Hartz Dog Pads are America's #1 brand of dog pads and are proven to outperform against competitors. You can get them nationwide at Walmart, Amazon, Chewy.com or at your local grocery store!